It’s always hard for students to return to school after having two weeks of vacation. However, our students did a wonderful job transitioning and jumped into learning without hesitation! Last Friday, I saw a lot of display boards going home, which can only mean one thing – Science Fair is coming!! I look forward to seeing the outstanding work students will share with our learning community during Science Fair in couple of weeks! Last but not least, I would like to wish all Spicewood Elementary students participating in the campus Spelling Bee this Wednesday the best of luck! Go Panthers! We’ve had a busy end to the fall semester full of inquiry, questioning, collaboration and lots of ACTION by our teachers and students. As with all PYP learners at Spicewood Elementary, we encourage our students to be active participants in the learning process, guiding the inquiries in each classroom in their own unique way. This week I’m sharing some highlights from what we’ve been up to as we aspire to build a caring community of innovative, globally minded citizens who take action. 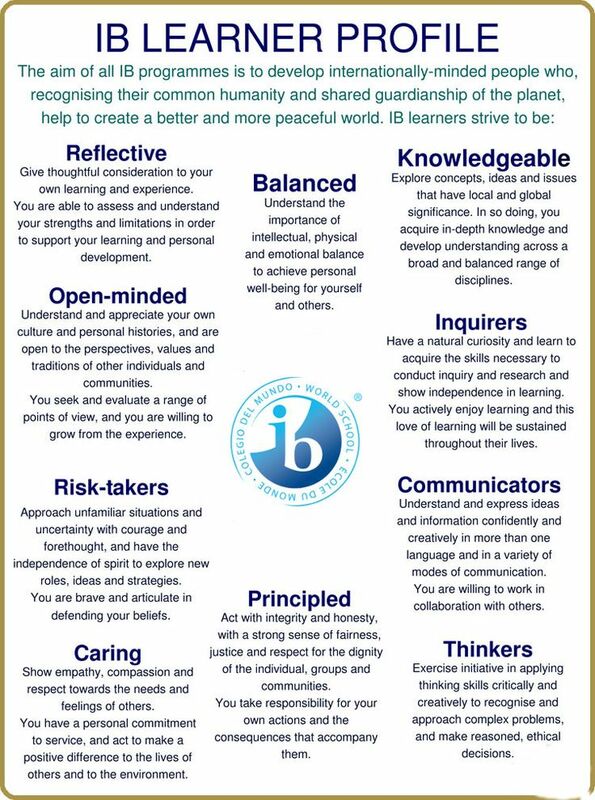 From new year intentions to innovators engaged in the design process, there’s no doubt that our Panthers are living the attributes of the Learner Profile! Don’t forget to keep up with us on Facebook, Instagram and Twitter! Our Music Department’s Doing Something New! Spicewood Elementary is fortunate to have two phenomenal music teachers who truly desire to give students authentic learning experiences. Committed to giving more opportunity to students to create, play and take ownership of their program, Ms. McKenna and Mr. Sharpe are excited to announce they will be doing something new this spring with our music programs. Second grade will be doing a program based off of a book where students will be creating rhythmic compositions, melodies, and creative movement to bring the book to life. Kindergarten will be doing a morning parent performance that will include student poetry, songs, and instruments that is all about parents! First grade will have a week where parents can come and join their student in music class; the parents will be able to sign up for a day to watch a short performance of their child’s class and then be a 1st grade music student for a day. Parents come prepared to sing, play, and dance with your child. The music department is so excited for you see what they have planned! Please stay tuned for more details! At the festival you will find tables hosted by fellow Spicewood parents sharing their cultures by exhibiting artifacts and traditional clothing, teaching crafts and games and providing culinary samples. Last Spring the event featured Korea, China, Israel, Ethiopia, Philippines, India, Mexico, Colombia, Venezuela, Panama, Italy, Peru, France, Bahamas, India, China, Ethiopia, Korea and Iran. Each year the number of countries grow and we encourage all cultures at Spicewood Elementary to consider participating in this “One World One Night” Festival. It is a great way to introduce our students to cultures from around the world and embrace the IB education.